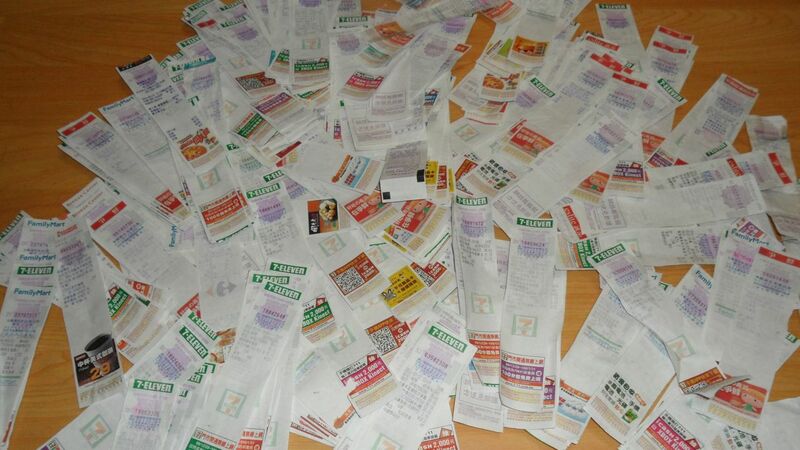 Today I received an e-mail from a Taiwanese company for an interview, which reminded me that I had a couple months worth of receipts in my bag from my time spent in Taiwan! 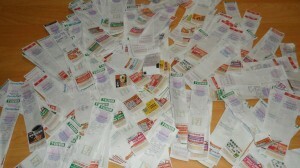 At this point, you’re probably thinking, “What’s wrong with this girl, carrying around a bucket-load of receipts when she had to throw out prized possessions, like sweaters and pants, in order to meet weight limits for international flights?” I’ll tell you quite simply, it’s because I’m a gambler! Mwahahaha. 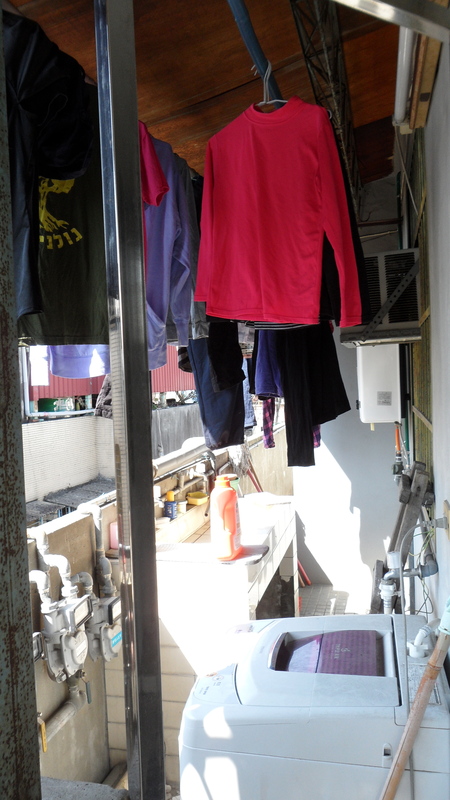 In order to get businesses to pay up all their taxes back in the day, the Taiwanese government established a unified receipt system, with lotto numbers at the top of each receipt. Every two months, the numbers are published and everyone goes through the piles of receipts in their purses, drawers, sofa cushions and, well, I’m sure receipts end up in more places than the human imagination can even postulate. As a result, I spent a nice chunk of time this evening chomping on nachos and checking my receipt numbers against the winning lotto numbers for the past two months. Alas! Woe! Tragedy! Injustice! I lost thousands of dollars that I’d already mentally won. My sand castles were washed out to sea! 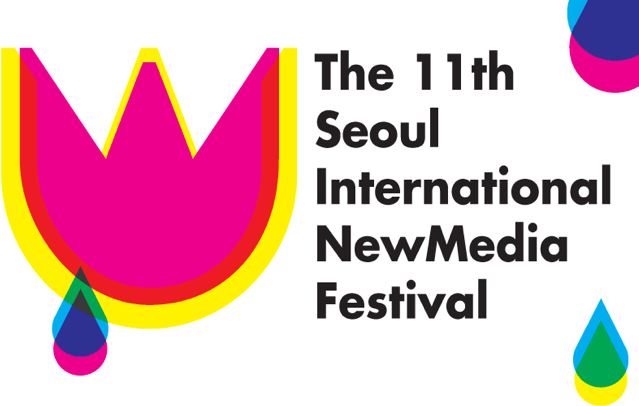 Sao Her’s film “Distance” was Shown at the 11th International Seoul NewMedia Festival!